Rent: call Spacious 2 Bedroom Apartment Available in this exceptional central North York Location with schools, parks, shopping all in walking distance. Public transportation just outside your door with the Don Mills and Sheppard Subway just a few blocks away. Rent: 1400, 2350 Central Air Conditioning, Balcony, Insuite Laundry, Garbage Chute, Indoor Pool, Tennis Court, Security in Lobby, Video Surveillance, Party Room, Indoor Parking, Outdoor Parking, Concierge, Sauna. Rent: call Luxury Living At Uptown Residences In Yorkville. Spacious 2 Unit W/Open Concept Floorplan & Soaring Ceilings. Brand New – Never Lived In. Great Exposure. Designer Finishes ~ Granite Counters, State of Art Appliances, Backsplash, Hardwood Floors. Exclusive Fitness Club, Yoga Studio,Virtual Golf Close to All Amenities, Ttc, Shopping, Restaurants, Theatre, Caffe,Etc. Well Appointed Unit! Rent: call 1st Class Executive Condo In The Heart Of Yorkville, Prime Yorkville View. Subway Under Building. All The Amenities Of Yorkville And Bloor St At Your Doorstep. The Best Restaurants, Shopping, Museums, Night-Life, U Of T, Hospitals. Direct Access To Subway, Indoor Pool, Fitness Rm, 24 Hr Concierge, Valet Parking, Extraordinary Concierge Service. 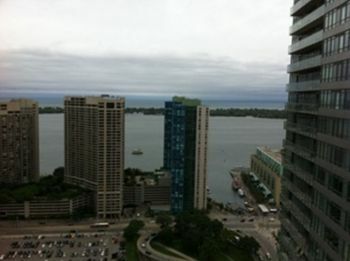 Rent: 2450 2 Bedroom/2 bath condo, immaculate, with stunning panoramic views of downtown, and partial view of lake Ontario. This suite has a totally functional floor plan with floor to ceiling windows that make for a very bright suite. The balcony is 19′ 6″ long by 6′ deep – perfect for summertime entertaining. This corner unit provides N, W, E and partial south views of the city. 1 large parking stall included and oversized storage unit. Rent: 1500 Spacious 1 + Den Unit W/Open Concept Floorplan & Soaring Ceilings. Quiet Exposure. Designer Finishes ~ Granite Counters, Centre Island, Backsplash, Hardwood Floors. Room For Your Home Office. Well Appointed Unit ~ Won’t Last! Parking Available if Required. 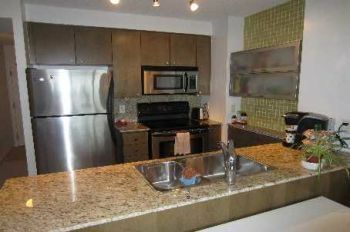 Rent: 1700 Oversized 1 + Den Suite At Cityplace. Unobstructed Lake Views & Approx 760 Sq.Ft. Of Freshly Reno’d Living. Modern Kitchen W/Granite Counters. Sunny Master W/Semi-Ensuite Bath & Double Closet. Updated Laminate Floors Throughout. Well Laid Out Floorplan W/Generously Sized Den. 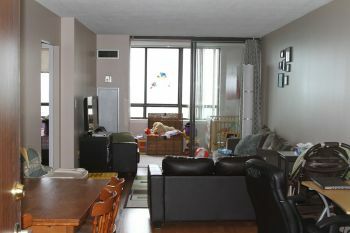 Rent: 1300 Move to Warden & Steeles in a HUGE 1 bedroom + Den with approx. 700 Square feet on the 18th Floor!! 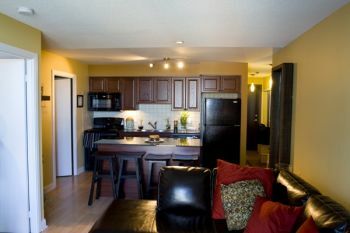 $1,300 per month inclusive (All Utilities & underground Parking included)!!. 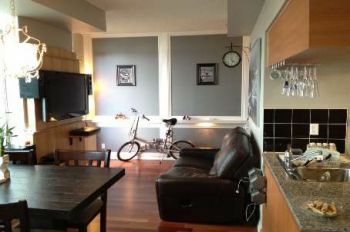 Live in this large and recently renovated unit (hardwood floors, new carpet, fresh paint, new washroom, 5 appliances, etc.) & well-maintained TRIDEL Condo. 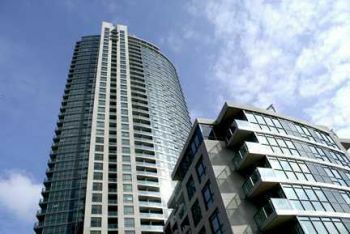 Rent: 1650 New 1 + Den Big 700 sq ft with Locker, Balcony, Parking Downtown. Historic Old Fort View. LOCATION: Front and Bathurst. Downtown Toronto. Rent: 1750 Wow Factor! Panoramic Sunset & Lake Views From This Fabulous 1 + Den Suite. Great Floorplan W/Open Concept Living, Seperate Den & Generous Master Bedroom W/Lake Views From The Bed! Clean & Lovingly Maintained. Rent: 1600 Welcome To Trendy Leslieville! Fabulous 1 Bedroom Loft At The Historic Printing Factory. Functional Floorplan W/Great Finishes. Large Living/Dining Area W/Walk-Out To Balcony. 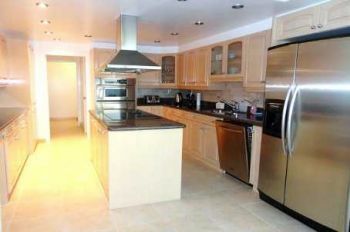 Modern Kitchen W/Granite Counters & S/S Appliances. Master Bedroom W/Double Closet. Polished Concrete Floors & Soaring Exposed Ceilings. Stroll To Great Restaurants, Shops & Galleries In This Happening Neighbourhood. Parking , Locker , Utility ,Appliances And All The Furniture Included . A++ Tenants Only, Short Or Long Term Rental. Rent: 1875 Must See !! !Spacious 1 Bdroom + Den ( Parking Included ) With Large Balcony.Flr To Ceiling Windows.This Unit Offers An Extra Large Bedroom&Den.$$$’s Spent To Up Grade The Unit.Breath Taking West View Of The Park,Cn Tower ,Rogers Center From The Bedroom,Living37Rm &Balcony.Lot Of Free Visitor Parking Available. Rent: 1450 $1450/month, 1 bedroom condo unit. Utilities, underground parking spot and storage locker included in the rent. Rent: 1099, 1299, 1499 Beautiful and Spacious – Our apartments, most with upgraded kitchens including new cupbaords as well as three new appliances (dishwasher, fridge and stove). Four different floor plans available in the two bedroom – one layout with l l/2 bathrooms and all with hardwood floors throughout as well as ceramic floors in kitchen, hallway and bathroom. 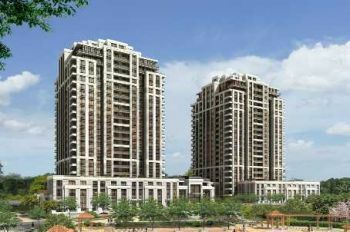 Furnished Large 1 bedroom + den with luxury features, granite counter tops, s/s fridge, D/W, stove, washer, dryer, wood floors, vertical blinds, ensuite bathroom, powder room, walk-in closet, balcony overlooking downsview park facing south. Indoor pool & spa, movie theatre, golf simulator room, 2 party rooms, 2 gyms. Fabulous Location…Minutes To Downtown Yet Surrounded By Nature. Sun-Filled, Spacious & Oh So Gracious! Stunning, Partially Furnished 2 + Den Corner Penthouse Overlooking Beautiful Sunnybrook Park. Amenities: Central AC, Balcony, Furnished, Insuite Laundry, Garbage Chute, Outdoor Pool, Indoor Pool, Tennis Court, Security in Lobby, Party Room, Restaurants on Site, Indoor Parking, Concierge, Sauna, Movie Theatre. Rent: 1825 You have entered the world of elegance! Approximately 700 square feet. Overlooking the waterfront in downtown Toronto; Tip Top Lofts is Toronto’s most prestigious Loft condominium, recognized by the city as a heritage building as well as being a historical landmark. 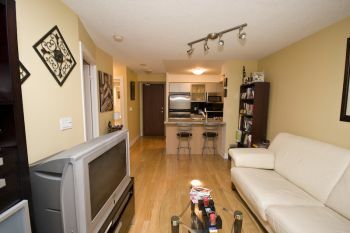 Furnished Modern fully furnished condo with a 5 piece bedroom suite, full leather upholstered living room set and LCD TV. 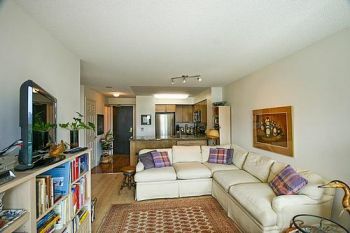 The condo was upgraded with a marble floor entrance, hardwood in living space and plush carpet in the bedroom. Comes with new all-black appliances. Rent: call This BRAND NEW CORNER UNIT PENTHOUSE CONDO is 900 Sq. Ft. and features 2 Very Large Balconies with Unobstructed Views, Engineered Hardwood Flooring throughout, Beautiful Floor to Ceiling Windows in all rooms, 4 Appliance S/S Kitchen with Island Counter & Granite Counter tops, 1-4pc Bath, PARKING & LOCKER (Both located right by the Elevator). Rent: 1750 Beautiful corner PH Apartment with wrap around balcony. Amenities: Central AC, Balcony, Insuite Laundry, Garbage Chute, Indoor Pool, Security in Lobby, Party Room, Indoor Parking, Concierge, Sauna. 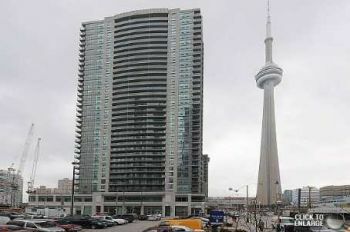 Furnished This one-bedroom junior condo is located on the 16th floor of the one of the best managed/located condominium buildings on Queens Quay, across from Harborfront Center where the world goes to experience the best of Toronto. The condo is fully furnished, and it has a beautiful water view with a great balcony facing the water. 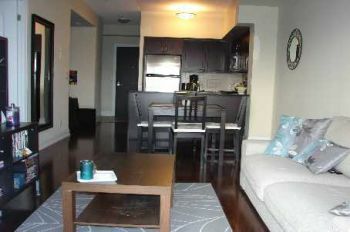 Fully Furnished FULLY FURNISHED 2 BED + FULL SIZE DEN + 2 FULL BATHS + 1 PARKING. BUILDING WITH LOTS OF AMMENITIES INCLUDING POOL, SAUNA, HOT TUB, PARTY ROOM, GUEST SUITES, BILLIARD RM, LIBRARY, CARD ROOM, VISITOR PARKING, CONCEIRGE, GYM, VIRTUAL GOLF. Rent: call Must See !! !Amazing Corner Unit With Great North East View ,Very Bright!!! 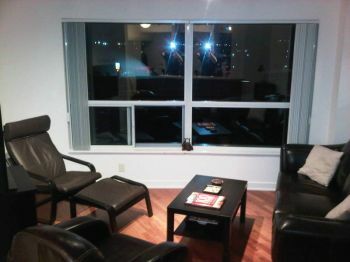 Spacious 2 Bdroom With 2 Bathroom Unit , Large Balcony.Flr To Ceiling Windows. Move In Condtion. Rent: 1250 1 Bedroom + DEN apartment at 30 Heron’s Hill Way, very new. 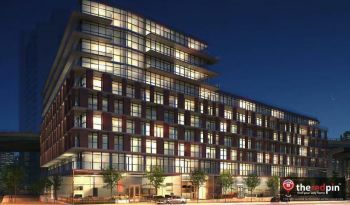 It is right next to HWY 404, within walking distance to Fairview Mall, and is very close to the TTC subway and buses. Please call contact, asking for David, for further details. Rent: 1475 Marina Del Rey Complex! Common elements, heat, water, hydro, cable TV (Satellitte or FIBE), use of the Malibu Club, central air & 2 car parking. 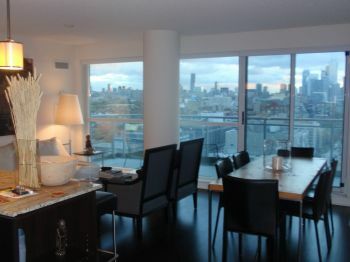 Furnished Enjoy luxury living in this modern, fully furnished one bedroom condo on the 19th floor. Enjoy quick and easy access to the 403, 401 and QEW or a short walk to Square One. Boasts nine foot ceilings and a south-facing balcony with a spectacular view of the lake and city with no obstructions. Rent: call 1 Bedroom +1 den, 657 sq.ft. 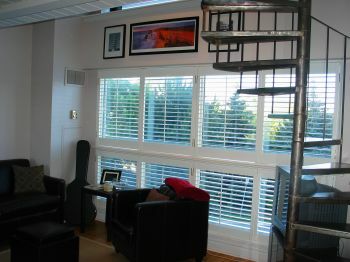 Furnished Penthouse fully furnished desinger decore on river valley Old Mill kingsway. One of Torontos finest address’s large open concept large bedroom and large den office or 2nd bedroom river park city views walk to trail humber river pathway leads to harbour front,rate included two parking spots.Walk to royal york subway 15 min drive to airport. Rent: 1800 Charming one + den split-level condo with thousands of dollars in upgrades with one locker and one parking located in the heart of Liberty Village in Bliss Condominiums. Brand new, never-lived-in suite with granite counter-tops, stainless steel appliances, stacked in-suite laundry, laminated floors, one two-piece bathroom (lower floor) and one three piece bathroom (upper floor). near Fairview Mall at Donmills and Sheppard. Rent: 1580 Well Maintained Bright And Spacious 2 Bedrooms Corner Unit, Large Balcony, 24 Hours Concierge, Indoor Pool and Exercise Room. $1,580 per month all inclusive. Rent included One Underground Parking and One Locker. Available on May 01, 2011. 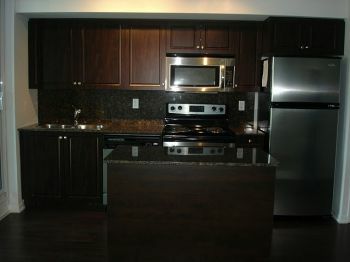 Rent: 1850 LUXURY 1 BDRM + DEN CONDO WITH PARKING AND LOCKER AT YONGE /BLOOR /YORKVILLE ! Upscale Boutique Living Just Steps to Yonge/Bloor/Yorkville ! Fabulous 1 Bdrm + Den, Spacious & Bright ! Lower Penthouse With 9′ Ceilings, Stainless Steel Appliances, Granite Foyer & Countertops, Breakfast Bar, Hardwood Floors, Marble Bath, W/I Closet And 2 W/O To Idyllic Balcony W/Sw Views ! Rent: 1600 Well cared for open concept condo including 2 Bedroom, 2 Bathroom, Walk-In Closet, Walk-out Balcony, Dining Room, Living Room, Kitchen, 24-hour Concierge, Fitness Room, Indoor Pool, Games Room and 1 Parking Spot. Steps to YMCA, TTC, Shopping Mall, Government of Canada buildings, 5 minute drive to Scarborough General Hospital, 401, Daycare, Elementary School, Grocery store, Library. Fully Furnished This is a brand new one-bedroom apartment with all amenities included, all hardwood flooring, brand new kitchen and laundry appliances, and a gorgeous view of downtown Toronto. The space also contains a den which serves as an in-home office/library. 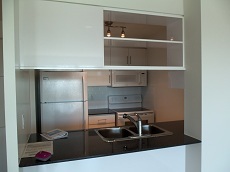 Rent: 1450 Be the first person to live in this brand new one bedroom unit in 83 Redpath. Located within walking distance of the Yonge and Eglinton subway, this unit boasts a clear northern exposure on the 13th floor. The layout (544 square feet + 100 square feet Balcony) is perfectly designed to utilize every square foot to maximum effect. 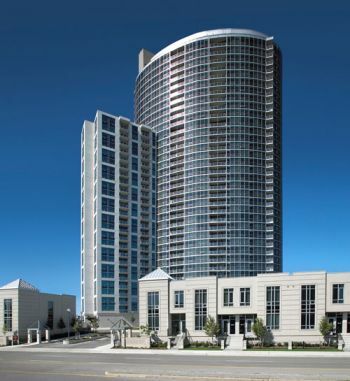 Rent: 940+, 1050+, 1200+ Located in one of Toronto’s most popular areas, Yonge & Eglinton. Walking distance to subway and TTC. Able to get to downtown in about 10 minutes. Silvercity and retail stores are walking distance! Call the rental office to book an appointment to view or for more information. Fully Furnished L-Penthouse suite, Beautiful View, Luxurious Boutique, Hotel-Chic Style Studio Unit In The Popular Pied-A-Terre Built By Shane Baghai – NEW. Fully Furnished Unit with High End furnishings and bathroom. Steps To Yonge/Sheppard Subway, 401, Shopping And Entertainment. All modern furniture, Stainless-Steel Appliances, Sleek Charcoal Maple Hardwood Floors, Walkout Balcony, Granite Counters, Flat-Screen TV, Stereo System with iPod cable. 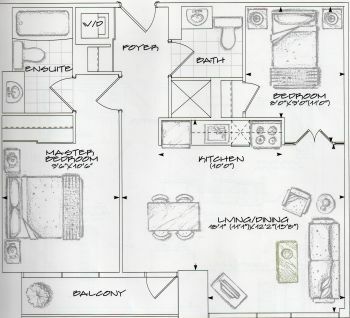 650 square feet open-concept layout. Rent: 1375 Luxury Living At ‘The Neptune’. Fantastic 1 + Den Unit W/Open Concept Floorplan & Soaring Ceilings. Brand New – Never Lived In. Quiet Exposure. 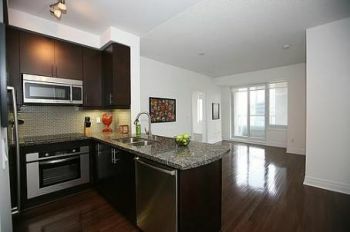 Designer Finishes ~ Granite Counters, Centre Island, Backsplash, Hardwood Floors. Room For Your Home Office. Well Appointed Unit ~ Won’t Last! Rent: 995 Beautiful, large, 2 bedrooms corner apt with eat in kitchen & private laundry room, newly renovated with laminated floors, located in Toronto west, near Pearson airport. Close to all amenities; Hwy 401, 427, GO Train Station & grocery stores. Includes Existing Fridge, Stove, Washer, Dryer, Microwave and Window Air Conditioner. 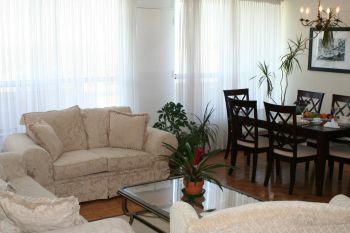 Furnished /Short Term Spacious 1, 2 and 3 bedroom furnished suites offer a comfortable home away from home atmosphere. Starting from as low as $2150.00 per month. Prices include all your utilities as well as parking, cable, local phone service, high speed internet, linen service and maid service. Furnished Get the full Toronto experience with postcard-perfect views of the city and Lake Ontario, situated in a central downtown location at Spadina and Bremner. This all-inclusive condo is full of style and comfort and available for rent at a fraction of the cost of staying at a hotel. This 39th floor south-east facing unit is furnished with quality furniture and features, making your moving day light and easy. 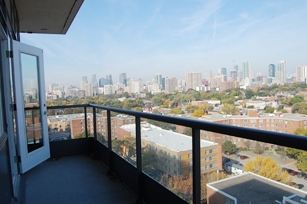 Rent: 1475 1 Bedroom + Den + Parking Availab Sep 1st, Balcony With 1 Underground Parking Spot. N1 Cityplace East View To CN Tower, Rogers Centre, And Lake. Recreational Facilities, Indoor Swimming Pool, Fitness Centre, Basketball Court, Spa, 24 Hour Concierge And 8 Acres Park. Steps To Sobey Supermarket, Banks, Harbourfront, Business District And Chinatown. Rent: 1325 1 bdr condo, 1 bathroom, 7th floor, 10ft ceilings, kitchen w/granite open-type counter (+stainless steel sink, fridge, stove, dishwasher; mirrored walls); bathroom w/mirrored medicine cabinet, magnifying mirror, over-the toilet cabinet; spacious balcony with a view that reaches Downtown Toronto; South-West side. Rent: 1000 Almost new 1-bedroom condo with balcony. North facing unit with lots of light. Kitchen has stove, fridge, dishwasher. Washer & dryer also in unit. Convenient location – close to 427/QEW – 12km to Airport and 20 minutes to downtown Toronto. Street car and bus stops in front of building. Walking distance to the Lake. No Pets. 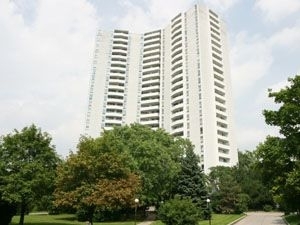 Rent: 1299 Sun-Filled 1 Bedroom In Prestigious Victoria Village. 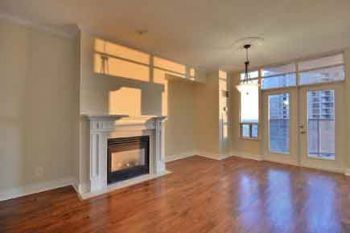 Open Concept Design With Laminate Floors And Walk-Out To Sunny West Facing Balcony. Modern Eat-In Kitchen With Pass Thru To Dining Room. Spacious Master Bedroom With Rare Walk-In Closet. Ensuite Laundry & Tons Of Storage Space. Rent: 1850 Residence of Maple Leaf Square – Brand New LUXURY 1 Bedroom Condo located in downtown Toronto, 5 appliances, 1 bathroom, great location. 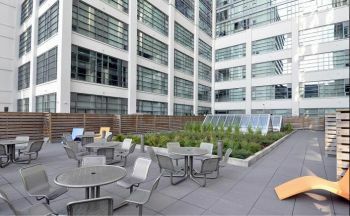 visit www.mapleleafsquare.com for all of its great amenities. 9000 square foot lifestyle and recreational facility, full gym, large swimming pool, sauna, large party room. 24 HR security/concierge. Rent: 1299 2 MONTH FREE TTC PASS! ! 1 bedroom + Den -Brand new monarch eq. 2 at Scarborough Town Center. Gleaming laminate floors in living, dining room. Granite and marble counter tops. Ceramic backsplash is kitchen. Open concept kitchen and living room. Rent: 1400 Amenities: Central Air Conditioning, Balcony, Insuite Laundry, Garbage Chute, Security in Lobby, Video Surveillance, Party Room, Indoor Parking, Concierge, Movie Theatre, Gym Room. 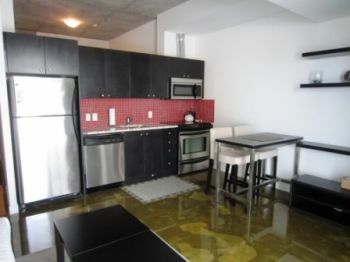 Rent: 1350 Modern large one bedroom condominium (approximately 770 sq. ft.). Completely furnished and equipped. Includes 1 underground parking spot, all utilities, use of pool, sauna and exercise room. Rent: 1400 Very spacious, clean, corner condo unit available for rent. This unit has 2 bedrooms + solarium, ensuite laundry, storage room, 1.5 bath and separate dinning room. The condo building has 24 hr security, a gymnasium, a multipurpose room, and a underground parking spot. Rent: 1600 Brand new luxurious condo in the financial district. Rent: 1240 Price Reduced…Guaranteed To Move You! Amazing Views Of Toronto Skyline & Lake. Modern 1 Bed Suite W/Floor To Ceiling Window, Large Balcony, Open Kitchen W/Breakfast Bar. 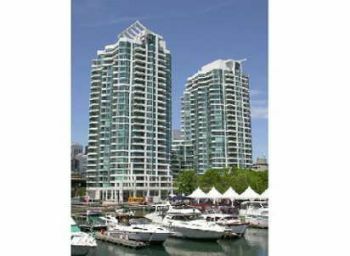 Walk To Ttc, Shops, Financial & Entertainment District. Amenities Include: Indoor Pool, Spinning, Yoga Room, Guest Suites, Billiards & Party Room. Roof-Top Garden W/3 Patios, Bbq Area, Fitness Centre, 24 Hr Concierge. Rent: Call Luxury Menkes Building, Prime location sparks like brand New. Brand New Top Quality Laminate Flooring Through-Out, Freshly Painted. Furnished Short-Term Suites Toronto Suites offers luxury furnished apartments, corporate housing, extended stay suites, executive accommodations, and short term rentals in Toronto, Canada. Complementary high speed internet, fitness club membership, maid service and more. 1 Room for Rent A Large-Bright bedroom in a nice and clean 2 bedroom Apartment, available for rent ASAP-Feb, close to Don Mills/Eglinton. it will be furnished, If you need. The rent is $435/month + half of the electricity bill (App.$20/month), including High Speed internet. Rent: Call Amenities: Central Air Conditioning, Balcony, Laundry Room in Building, Garbage Chute, Video Surveillance, Party Room, Indoor Parking, shopping plaza. 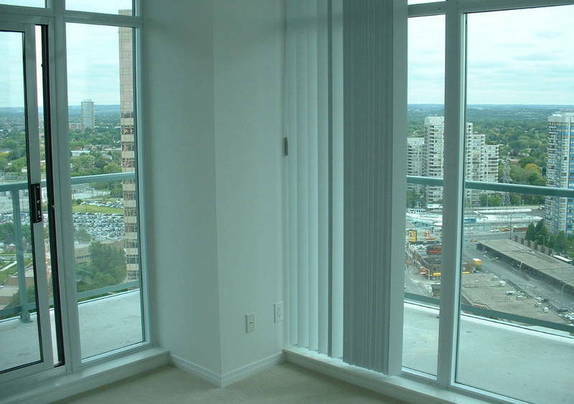 Rent: 1050 One bedroom apartment available for rent in the DVP & Don Mills Rd area. Apartment is roughly 700 sq. feet and fully renovated a little over a year ago, and still in great shape. This is one of few units in this building that does in fact have it’s own washer and dryer, no more doing laundry in the basement! Unit does not have a balcony, it has been converted into a dining room, but does come with a parking space and a storage locker. Granite counter tops. Custom crown moldings, ceramic tiles in kitchen. Approx 1350 sq.ft plus complex featuring rec room, indoor pool, sauna, whirl pool and exercise room. 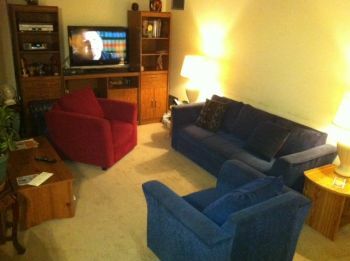 $1800 utilities included Parking and Locker included. Available March 1st. Laundry facilities, garbage chute, suites with balconies, close to banks, quiet residential neighbourhood.